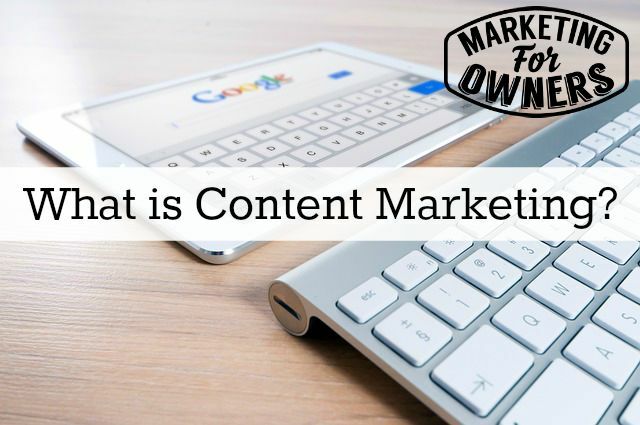 Content marketing — is in my opinion, to create useful information for your ideal audience that teaches them all they need to know about your product and services and your industry as a whole and getting that information to them when and where they want it. Content marketing is to deliver useful content. It is not to just churn it out. People don’t want to hear rubbish. They want quality, but they want to be able to find it where they look for it. Now, if they are on Instagram, if they like looking up blogs, if they search through the Twitter streams, Facebook, if they like Pinterest, they want to find videos on YouTube, videos on Facebook, etc. etc., or if they want to find a Periscope and scope about it, they’re are expecting you, my friends to be there. That is what content marketing is about. Now, a lot of people think it is just blogging, and blogging, and more blogging. No! No! That’s boring. There’s enough stuff out there. We don’t want any of this rubbish. Don’t keep churning out garbage. Put some effort in. If you become a reliable resource, people will come back to you. So, for instance, why do you think the news stations of the big TV stations are so professional and spend so much money and put such an effort in? Because people want professionalism. People want to rely on someone that knows what they’re talking about, and that’s just the news. You can do that for your industry. Make yourself an expert. Tell people you are an expert. They will believe you because you’re going to back it up with expert advice. Don’t give them little 200-word posts or little 300-word posts. Give them a 2,500 word post that gives them a full instruction on how, where and why, about something they want to know. That’s not going to make them not buy from you. That’s going to make them trust you more, and remember, we’re trying to get them to know, like, and trust you, and it’s going to work out like that. So, too much of what I hear of content marketing is just churning out content. Some people are putting up more than one post a day! I’d say, put out one post a week and make it as good as ten posts. Now, if you have something very short, you have to tell people it’s only going to be 2 or 300 words and it covers it in depth, put that out there, but if you want to be instructional, want to be informative, people want the full story. Put some effort in, people. That is content marketing. Some of the big boys have been doing this for years. John Deere is one of the famous ones, the agricultural company. It puts out a newsletter and doesn’t even have his name on it. It’s been doing it for something like 100 years and it still going, and people rely on it, and that’s how they got their name known all across the world. Okay, so remember, content that is only interesting to your ideal audience because that’s only the people you want to talk to. Content that teaches them everything they need to know, about, not only your product, your services, and your industry, but sometimes, other people’s products and services. Be the resource, my friends. Tell them, and then make sure it’s available to them when and where they want it. So, in other words, put it in a number of places: On your website, on social media, send it out to them in a newsletter. People read stuff at 3 in the morning, not when it’s convenient for you. Okay. Content marketing is the bomb! Keep going on it, but make it good. Today, it is a Tuesday, man! I don’t care if I’m on a mountaintop in Whistler, in Canada having fun. It is time for a toolbox tip, and today, I’m actually going to tip the app that I use on this here phone to record this here podcast. 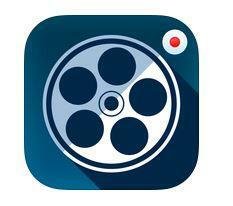 It is a simple one called Movie Pro. Now, I think it might have cost something like $4.00. Anyone want to try it and can’t afford $4, let me know. I’ll send you the $4. It’s great. You might ask, “Why don’t you just use the video recording that comes on your Iphone 6, John?” To be honest, I’m not entirely sure, but this does more. You can control the simple settings, the frame rate. It will record up to 60 frame rate. It can record and export at the 2 or 4G standard. See, I have no idea what I’m talking about. But, you can control all the outputs, all the inputs: sound, quality, all sorts of stuff, and it’s just so easy to use, just does it so well, you can upload direct to drop box. Look it up in the itunes app store. I don’t know if it’s available for Android but you can download it for Itunes. Look it up, download it, and try it out and let me know what you think. Are you producing too much content that is full of useless words?